Guyton brought his Detroit swagger to the beaches of Miami where he blew visitors away at this year's art fair, before moving his work to the Martos Gallery in New York next fall. 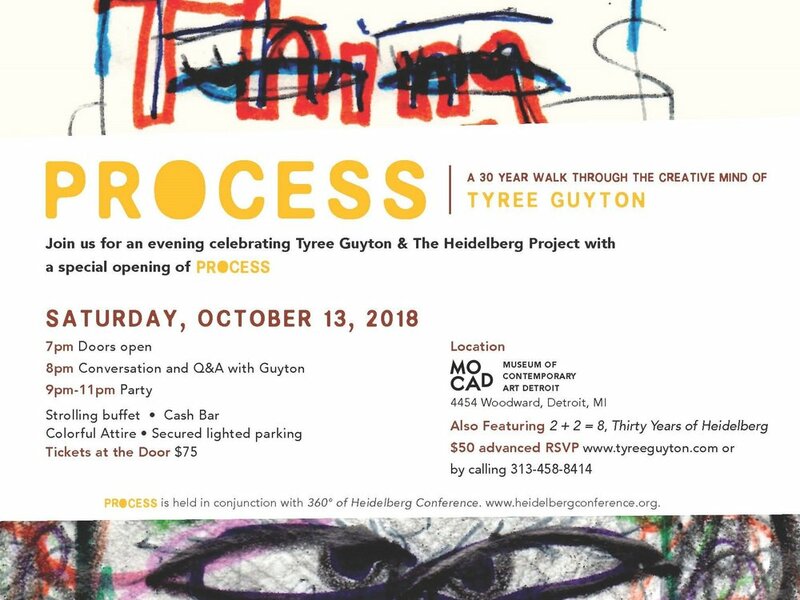 Vulture’s Carl Swanson caught up with Tyree to dive into what Heidelberg has evolved in to from its origins and highlighted Tyree's current exhibition with MOCAD, set to end in January of 2019. Haynes goes on to say, “People often make the mistake of calling him an outsider artist, but he is trained...It is interesting to see the work in the context of a museum. Read what else Vulture had to say about Guyton's vision and the impact his work has made below. Lee DeVito of Detroit Metro Times meets Tyree Guyton at the Museum of Contemporary Art Detroit, where the artist is directing the installation of his upcoming exhibition, 2+2=8 Tyree Guyton: Thirty Years of Heidelberg, which opens at the museum on Friday, September 7th. 2+2=8: Thirty Years of Heidelberg is a retrospective ode to Guyton’s multi-decade outdoor installation, Heidelberg Project. Initiated in 1986 at the site of Guyton’s childhood home, the project was conceptualized as medicine for Detroit’s east side community following the 1967 rebellion. Over the years the project has evolved to span two city blocks, as artistic refuge for locals and visitors from across the globe. Combining painting, sculptural assemblage, and object-based intervention, Heidelberg Project is a cornerstone to Guyton’s robust artistic practice. In Heidelberg Project, Guyton ruminates on urban landscape and familial legacy—creating public works that speak to the possibility of shifting paradigms in which imaginative future and present reality live side-by-side. Using art to blur the boundaries of architectural function and religious philosophy, Guyton’s work is a reflection on historical impasse and speculative future. Please join us as we celebrate over 30 years of Heidelberg. Saturday, September 8th: 1 PM - 4 P.M.
Join us for an afternoon with Rachel Adams, whose scholarship is rooted deeply in understanding and researching the history of the 30-plus-year Heidelberg Project. The conversation will speak to the history of the project, its relationship with the city, and the impact that the project has by challenging notions of outsider art, fine art, and public works in the contemporary art landscape.